“What would you do if this patient were your mother?” On my first clinical rotation as a third-year medical student, the attending asked this before each patient encounter. It is a sentiment I draw on to this day. I became an endocrinologist because of my mother who was diagnosed with type 2 diabetes when I was 15. I was old enough to be her partner and support as she approached this daunting diagnosis, and I now realize how much that experience influenced my career decisions. Over the years, my mom has become an advocate for others. She is the picture of how discipline can help mitigate the effects of diabetes. I may not always get through to my patients, but when I say, “This is what my mom did,” I can tell I have touched them in a way I hadn’t before. When I read the new clinical guidelines from the American College of Physicians (ACP) (1), my first thought was, “What should I tell my mom?” In full disclosure, I have been a silent observer on the Clinical Guidelines Committee of ACP in the past. As a fellow in endocrinology, I am also a member of the American Association of Clinical Endocrinologists and Endocrine Society. Coincidentally, the new guidelines came out when my mom had received her latest A1C. It had come down from 6.7 to 6.3. On the basis of the ACP guidelines, she could consider de-escalating her medication regimen. My mom was very happy with her A1C—getting this close to 6.0 made her feel like a child bringing home a report card with all As. 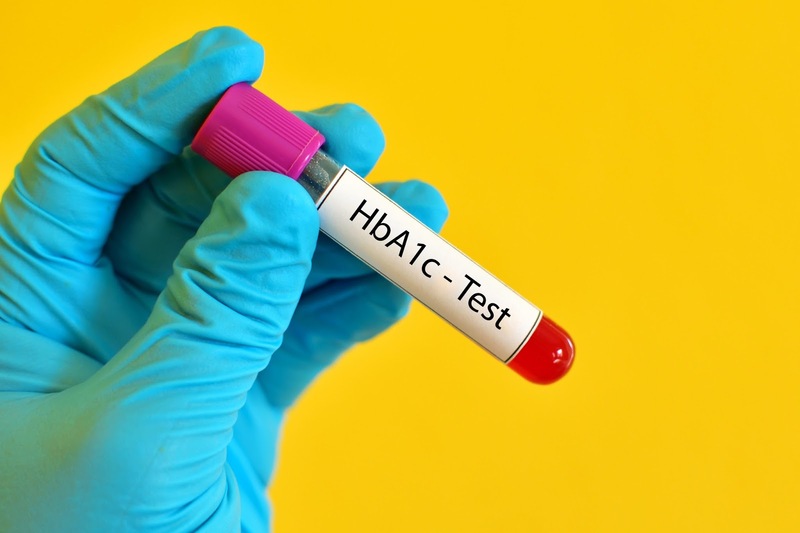 Guidance Statement 3: Clinicians should consider deintensifying pharmacologic therapy in patients with type 2 diabetes who achieve HbA1c levels less than 6.5%. The ACP guidelines mention that other societies have stricter A1C requirements because of decreased microvascular complications; however, those microvascular complications are measured with surveillance markers instead of clinical markers. I argue that A1C itself is a surveillance marker. If a patient is tolerating treatment, then why liberalize and potentially put them at risk for microvascular complications? Guidance Statement 2: Clinicians should aim to achieve an HbA1c level between 7% and 8% in most patients with type 2 diabetes. When my mom was diagnosed, her A1C was 8.0. She was told by her primary care physician to aim to get it under 7.0, which she did with medication, diet, and exercise. In doing so, she helped establish a legacy effect for herself. A few days after ACP released its guidelines, several endocrine organizations, including some in which I am a member, released a statement in opposition (2). This part struck me in particular: “In addition, their recommendations do not consider the positive legacy effects of intensive blood glucose control confirmed in multiple clinical trials, particularly for those newly diagnosed with type 2 diabetes, and, therefore, are not reflective of the long-term benefits of lower A1C targets.” Several studies have shown that tight control at diagnosis leads to better cardiovascular outcomes in the long-term—i.e., the legacy effect. This point is actually most relevant to primary care physicians. Although I pursued a specialty to gain more expertise in diabetes management, my heart will always be in primary care. Primary care physicians are the front-line doctors in our patients’ and our nation’s collective health. My mom’s primary care physician, who managed her care initially, helped establish cardiovascular benefit in my mom by being strict with her A1C goals. When I see new diabetic patients, my goal is to do the same and establish this legacy effect. Ultimately, the ACP and endocrine organizations—both of which I have looked to at different times to guide my clinical practice—do not agree on the A1C guidelines. I do not feel at odds because of this conflict. Guidelines are suggestions, and clinicians must remember that there is an art to practice as well. The first statement from the ACP guidelines actually expresses things well: “Clinicians should personalize goals for glycemic control in patients with type 2 diabetes on the basis of a discussion of benefits and harms of pharmacotherapy, patients' preferences, patients' general health and life expectancy, treatment burden, and costs of care.” Patients are unique individuals and diabetes is a dynamic disease impacted by stress, illness, diet, and socioeconomic factors. As the wife of a career civil servant, my mother has always had access to health care. She is a savvy and motivated patient with excellent health literacy. She has a support system in place and primary care physicians who care about her. She is one of the lucky ones. I argue, why shouldn’t all my patients be so lucky? The new ACP guidelines will not change my practice, nor will they change my belief on diabetes management, particularly in the first few years of diagnosis. My advice to my mom remains the same despite these guidelines, as does my advice to my patients. American Diabetes Association; American Association of Clinical Endocrinologists; American Association of Diabetes Educators; Endocrine Society. The American Diabetes Association, the American Association of Clinical Endocrinologists, the American Association of Diabetes Educators and the Endocrine Society strongly disagree with the American College of Physicians’ guidance for higher blood glucose targets for people with type 2 diabetes [press release]. Arlington, VA: American Diabetes Association; 9 March 2018. Unfortunately guidelines often mask the underlying data which drove their decisions, on both sides. From my albeit limited understanding of the data based on a much more nuanced understanding of faculty with whom I have worked, specifically using insulin to achieve tighter glycemic control results in increased mortality and morbidity to patients when A1c is driven below 8, which is NOT equivalent to the entire group of patients with A1c below 8 (for example, treating to A1c goal of 5.5 is universally considered dangerous, but we don't consider patients with a native A1c of 5.5 to be in danger of anything). However, that does not apply when better A1c is achieved with lifestyle changes and non-hypoglycemic medications, including the cardiovascular benefit of metformin having been demonstrated independent of A1c lowering. So, both the ACP and AACE A1c goals have their places.